resources and post them, along with links to the sites. or choose to sell them from my personal collection. please link to the proper site or, if it is one of mine, follow the directions on purchasing. Oxford SH volumes. condition is vf/nm, some small abrasions to the dj's, remainder marked volumes. These are from my personal collection. SH and Mary Russell. condition: nm/mint. probably a bookclub edition. I ran across this in a book sale. condition: about g/vg in wrappers. It would be vf/nm except it has a dent in the binding like someon started to fold it the wrong way. The effect doesn't make the book unusable or anything like that. I ran across it in a book sale. scrapes that you can see in the gloss of the DJ, otherwise mint. This book is unread. I ran across a couple of these in a close-out from some company my workplace worked with. This volume is NOT remainder marked, so it's the real first edition, new book at a blow-out price. condition: ex-library w/ all the markings. DJ is about nm. The book has binding broken and damaged in the front, but is not separated. otherwise it would be about vg/f (even including the library markings. It looks to me as if they dicarded it because of the binding). This was part of my personal collection. Sir Arthur Conan Doyle’s classic character lives again in this new paperback collection of pastiche fiction in the style of the original. This book features both first-time and published authors in a collection that is sure to please the most discerning of Sherlockian readers! Starting with an adventure at a lonely Martello Tower through a missing locomotive mystery to a youthful Holmes in his Montague Street days, Curious Incidents 2 is first rate Sherlockian pastiche. Peppered throughout with the wonderful illustrations of Phil Cornell. 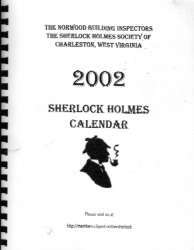 Contains David Cisler's 2nd published short-story, "The Problem of the Sussex Scalping"
This is the 16th volume of THE MYSTERIOUS SHERLOCK HOLMES PAMPHLET SERIES from the Mysterious Bookshop. 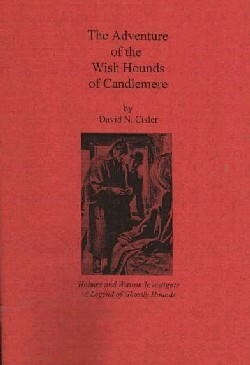 This is the author's first publication. (Please remember, my wife sells items on Ebay, too. 5. YOU MUST INSURE YOUR PURCHASE!!! I will not issue refunds due to damage or loss by the shippers Thank you for understanding. 2. Follow the resource's directions to order.